Arlington Ridge customers and homeowners are so enthusiastic about their community, that they want to tell the world about it. Below you’ll find videos and quotes from people who love calling Arlington Ridge home. Browse through them and learn about what they think is important in choosing your Florida retirement community. “We love our new home and everything your craftsmen have put into it.. In particular, we would like to mention your ‘Go To Man’, John!! While being a loyal and true company man, he was and is most helpful, courteous, efficient and prompt in handling whatever ‘glitches’ we ran into..
“Although they were nice communities, Top of the World and The Villages were just to expansive for us. It was like living in the city. We wanted something with a small community feel with friendly people and a central activity area. “One of the best features of Arlington Ridge is that FLC is a true custom builder that does not “gouge” you when it comes to customizing your new home. We were very impressed when we were told that FLC will move interior walls and door locations without charge. We have talked to other “custom builders” that lure you in with a low price and then nickle and dime you on even the most simple change to their plans and that’s even IF they will change their plans. “I have also researched FLC and discovered how well respected they are in Lake County and especially with the City of Leesburg! Arlington Ridge residents Joe & Sheila Aguayo talke about their experience in building a home and making a life at the Arlington Ridge Central Florida retirement community. Brad Brown talks about living at the Arlington Ridge Central Florida retirement community as a single man. Al and Mary Compton talk about their lives as Arlington Ridge Central Florida Retirement Community homeowners and their experience in building their retirement home at Arlington Ridge. Arlington Ridge residents discuss their home building experience and their lives at the Arlington Ridge Central Florida retirement community. Arlington Ridge retirement community residents Peter and Joan Jackson talk about what it is like to live at Arlington Ridge in Central Florida. Jim and Carleen Richardson discuss their homebuilding experience at the Arlington Ridge Central Florida retirement community and also talk about their life as Arlington Ridge residents. Arlington Ridge residents Sharon Simon and Tera Hauserman discuss their experiences in building a home and living at the Arlington Ridge Central Florida retirement community. Arlington Ridge resident Patricia Schaefer talks about her experiences in the Arlington Ridge over-55 retirement community in Leesburg, Florida. Arlington Ridge residents Mike Ryan and Farangis Van De Mark discuss living at the Arlington Ridge retirement community, including the tremendous lifestyle. Arlington Ridge residents Daniel and Louise McIntyre talk about their experience building a home in the Arlington Ridge Retirement Community, including their experience in building an FLC home. 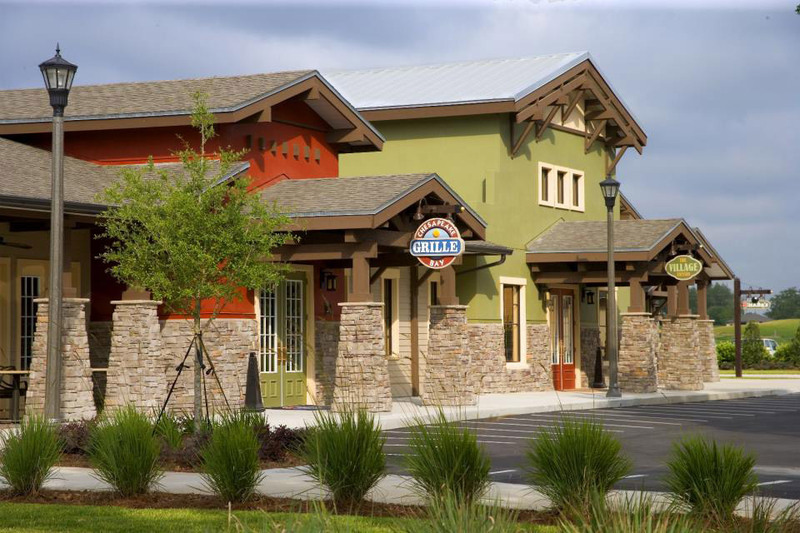 Arlington RIdge residents Gil and Linda Kepler discuss their experience in building a new home with FLC at the Arlington Ridge retirement community in Leesburg, Central Florida. They talk about how easy FLC made the process of selecting options and customizing their home to make it just the way they wanted as their retirement home. Arlington Ridge residents Robert and Pamela discuss why they chose the Arlington Ridge retirement community in Leesburg, Florida, including the quality of the community’s 18-hole golf course and the neighborliness of the residents.